Adrian graduated from Leeds University, England in 1985. His lecturer selected Adrian to work at his private practice in Mirfield, acknowledging his abilities as a general practitioner. Adrian then spent 8 years at Dental World in Morley, before migrating to New Zealand. When he bought Kohimarama Dental Centre in 1997, he was determined to create a practice dedicated to ensuring his patients were not afraid to visit. He has spent his time here building long lasting relationships with many of his patients. Adrian has a special interest in preventive and minimally invasive dentistry. For you this means he will actively encourage good oral hygiene habits to maintain your oral health. When problems arise he maintains as much of your tooth structure as possible to allow you to keep your own teeth for longer. Sometimes it will be necessary for you to see a specialist. Adrian has developed a strong rapport with some of the best specialists in Auckland enabling you to receive the best possible care. Adrian is a member of the New Zealand Dental Association. He regularly attends courses and conferences to keep up to date with the latest research, treatment and technology to benefit his patients. 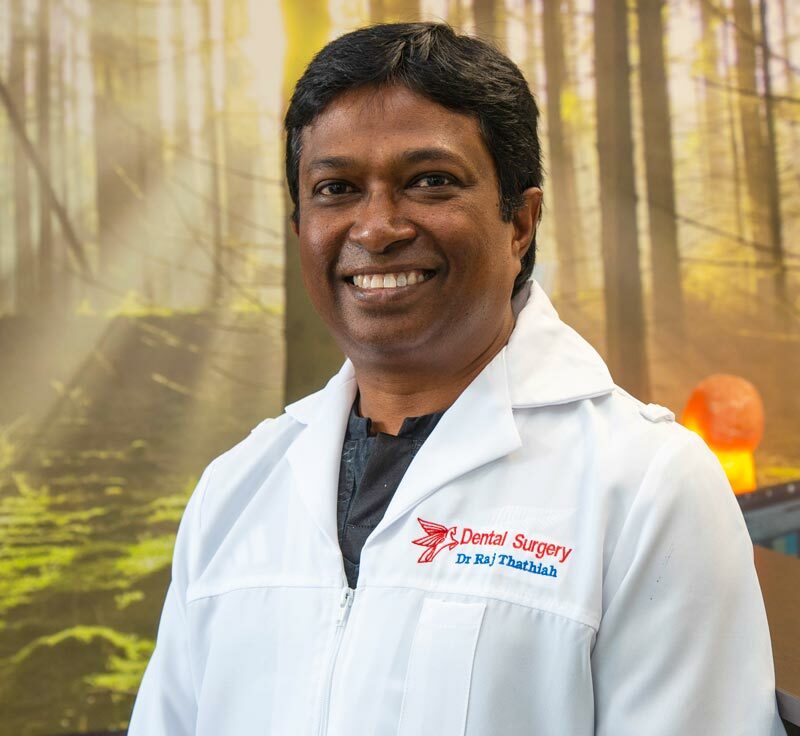 Dr Raj Thathiah graduated from the University of Witwatersrand in Johannesburg, South Africa in 1995 with a BSc (Hons), BDS and has been practicing dentistry in the private sector for 23 years. He has spent time working in the UK and Australia but has spent the bulk of his time in private practice in South Africa showing particular interest in cosmetic dentistry and orthodontics. He moved to New Zealand in 2012 with his wife and two children and set up in private practice in 2013. After an exhaustive search he has found in Kohimarama Dental Centre the type of practice that expounds his philosophy of quality dental and patient care. Dr Thathiah is continuously expanding his skill base via additional training and recently completed diplomas in Full Fixed Orthodontics and Full Mouth Rehabilitation. Renee joined the practice in October 2018.